It’s been 20 years since the launch of Montres Journe SA, and 20 years since the launch of Journe’s first production model, the Tourbillon Souverain. 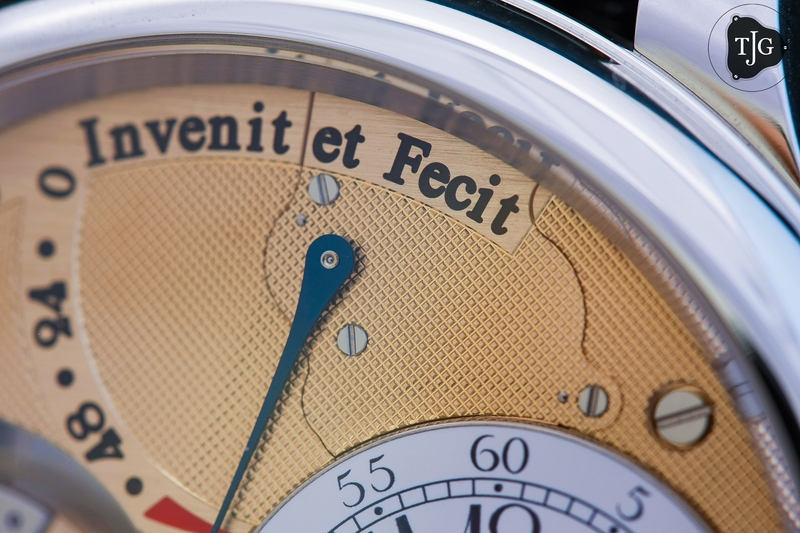 Twenty years might not seem like much on contrast to other better known brands, but the fact that some Journe’s from 1999 are considered to be “vintage” should be enough to show that F.P. 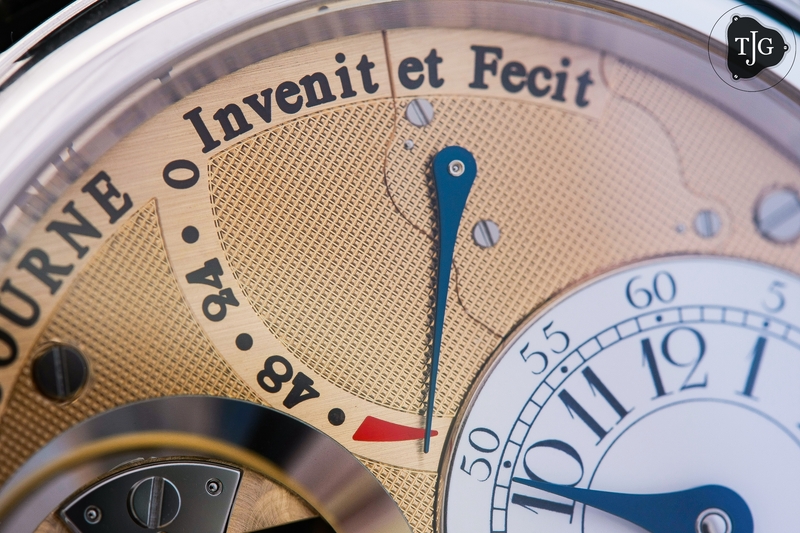 Journe has excelled at a tremendous pace in a very short time and perhaps, even caught up with the history and legacies that other brands have relied on for years. That said, rumors have suggested a new Journe tourbillon was in the works for the past three or so years and 2019 was to be its launch. 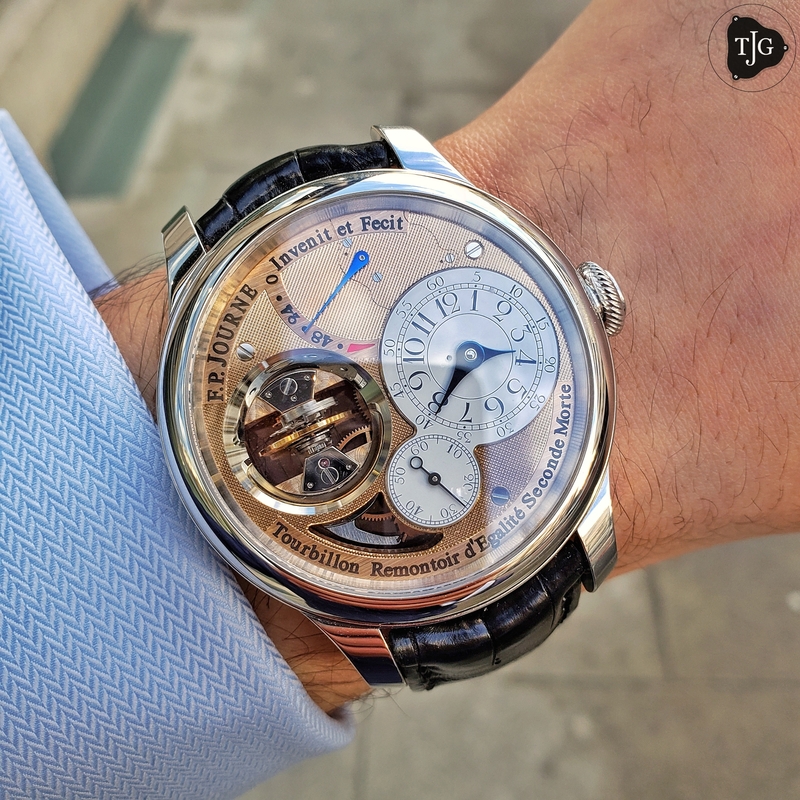 In all truth, François-Paul Journe didn’t disappoint with the launch of his Tourbillon Souverain Vertical; as the name suggests, a vertical tourbillon. There comes of course the short explanation behind the watch but with Journe, it’s always about logic and so, to understand the logic we must start with Abraham-Louis Breguet, the great watchmaker who invented the tourbillon to start. If you were to ask Journe about the origin of the tourbillon he will often start his response by breaking the myth regarding tourbillons and gravity, i.e. 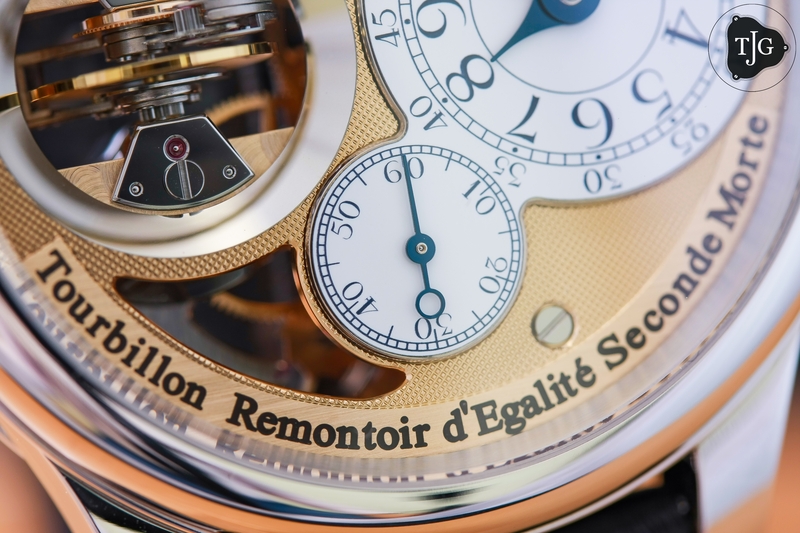 tourbillons were invented to counter the effects of gravity. To him, this is the one of the biggest loads of marketing junk to ever be spoken and the reasoning is simple. 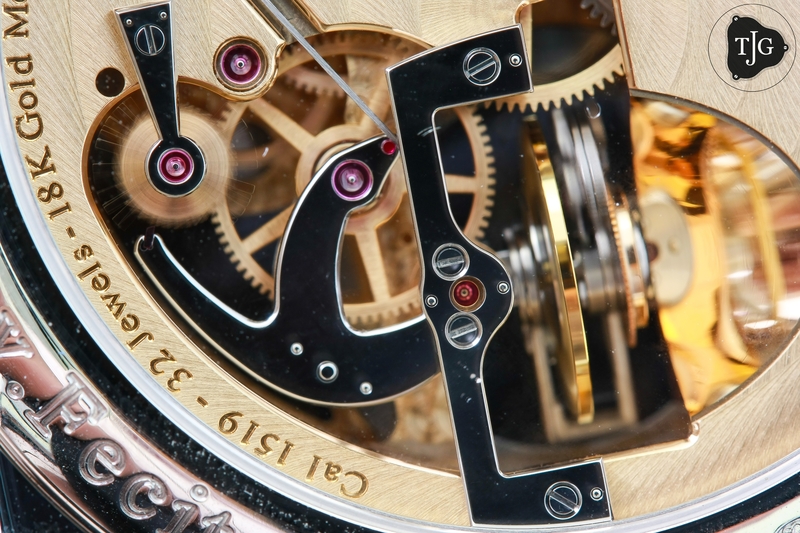 When Breguet invented the tourbillon, he invented it for use in pocketwatches which are typically only adjusted to two positions; namely crown up which is to say in a pocket, and dial up which is to say when the watch lies flat. Any trained watchmaker can adjust and regulate a watch in two positions and Breguet was a Master Watchmaker; thus to say that the tourbillon helped him to regulate a watch in two positions is rather an insult to his master skills. There were however two reasons Breguet invented the tourbillon and the first was to maintain the lubricants in the escapement. At the time, lubricants were made from animal oils and were of very poor quality, often resulting in sticky lubrication that gathered and settled in spots. Today, this is not the case as the industry has evolved to using synthetic oils which last much longer and don’t dry up as quickly. The second reason, far less spoken of, was that Breguet also invented the tourbillon because of its aesthetically captivating beauty. Noted, while today’s market places the tourbillon as a beautiful aesthetic addition to a watch that often demands a high premium, not much has changed with that regard over 200 years. Breguet was a talented watchmaker but also a successful businessman and even back then, the tourbillon was something that would draw everyone’s attention and would demand a hefty premium. 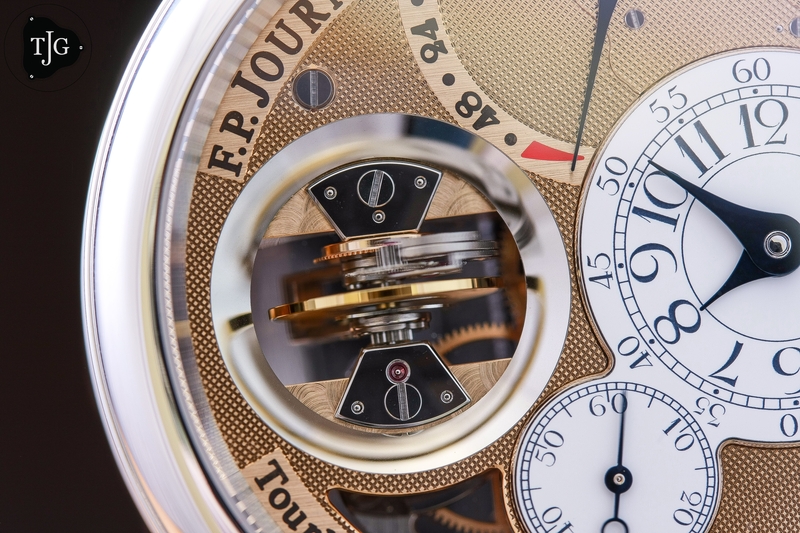 Here we are, roughly two centuries ahead and François-Paul Journe decides to take the tourbillon one step further by flipping it 90° and making it vertical. 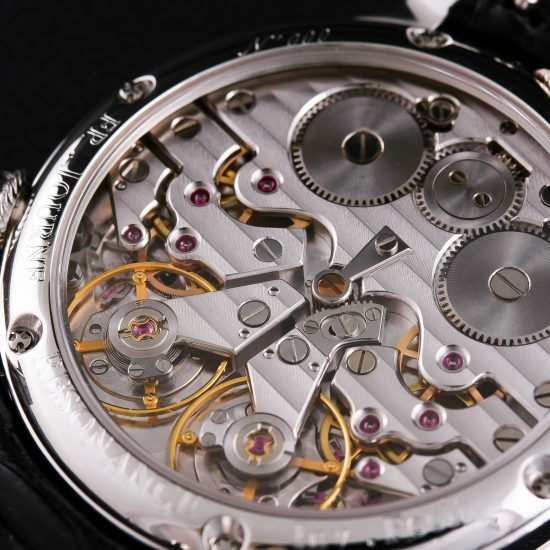 The reasoning has nothing to do with what happens when one wears the watch for as long as the wrist is in motion, the tourbillon typically has no real effect, nor the wearer on it. On the other hand, keeping the watch stationary for an average of 10 hours overnight can make a difference. If you were to have the watch on a tang buckle, and placing it flat dial up overnight, the tourbillon would be in one position. Mounted on a deployant, the watch would be placed in a different position overnight and so would the tourbillon as a result. To make sure the tourbillon is always in the same position no matter how you lay your watch, then the solution was to flip it 90° and now, it will always be in the same position. 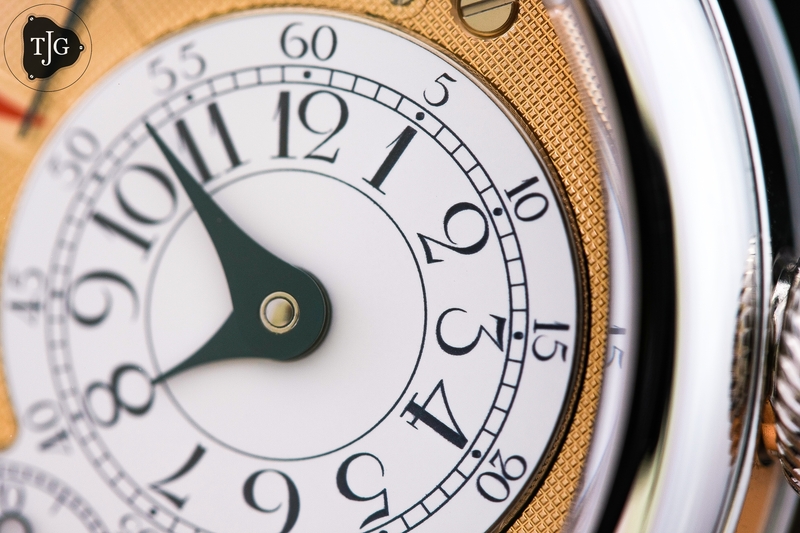 Aesthetically, the watch is exactly as hinted, a blend of past and present. Perhaps the first thing that caught my eye was the fact that there is no dial, like the original wristwatch from 1991. The mainplate has a “Clous de Paris” guilloché pattern that is beautifully executed and paired with a Grand Feu enamel subdial on 18k white gold, which is mounted again directly onto the mainplate. 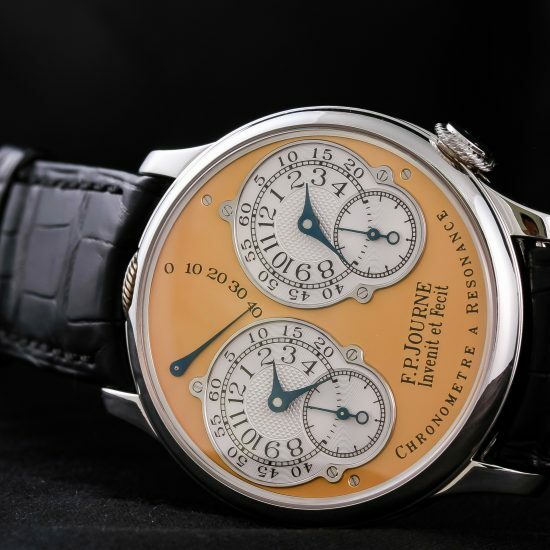 Journe has never used enamel dials before as he has struggled to find one that meets his high standards. Regarding this specific one, he mentioned that when he received the final prototype, he spent 4 hours closely examining it and looking for faults, which he couldn’t find. He is extremely proud of the final outcome and admits that had it not been for the enamel dial, this watch wouldn’t have come to life. All my watches are meant to be thin and so the enamel dial never made sense before. This time, the vertical tourbillon gave me the pleasure of more freedom and space to which I could use an enamel dial. It all meshed together perfectly. If you look closely near the base of the power reserve, you will further notice an additional plate screwed onto the dial. 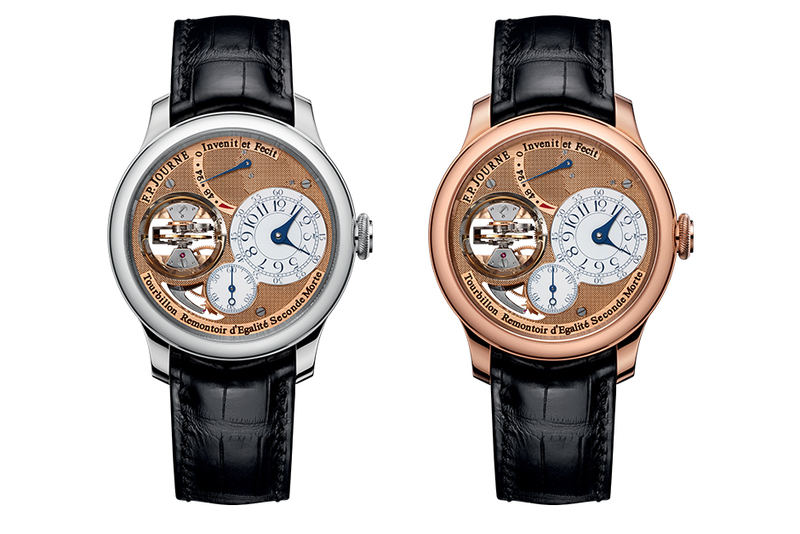 The plate covers the mechanism of the power reserve which Journe found unnecessary to leave exposed. Again, a tiny detail that makes a huge difference. The plate covering the power reserve mechanism. 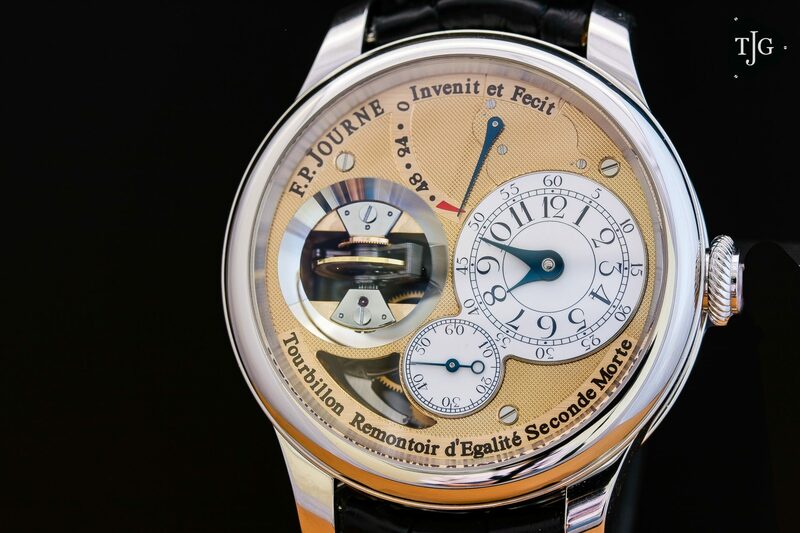 The dial also leaves room to hint at the remontoir d’egalite (constant force device) that Journe first designed in 1983. When Journe first debuted his production tourbillon in 1999, it was the first time a tourbillon wristwatch was coupled with a remontoir. If there was one signature touch he wasn’t going to leave out, it was definitely this. Alike the Chronometre Optimum, the remontoir carriage is also made from titanium which is an improvement over the previous generation due to the lighter weight associated with titanium. And last to be noted on the dial is of course the tourbillon itself. I can imagine it to be very tricky to develop vertical tourbillon yet make it pleasing to the eye as well. Here, Journe uses a titanium cage (a nightmare to finish) that actually spins around in 30 seconds over the typical 60 seconds. To highlight the cage, a polished ring surrounds it which gives it a nice visual effect of a horizontally spinning balance wheel. While previous Journe tourbillons left nothing much of an appeal on the caseback, it is worth noting that this particular tourbillon won’t leave one disappointed. 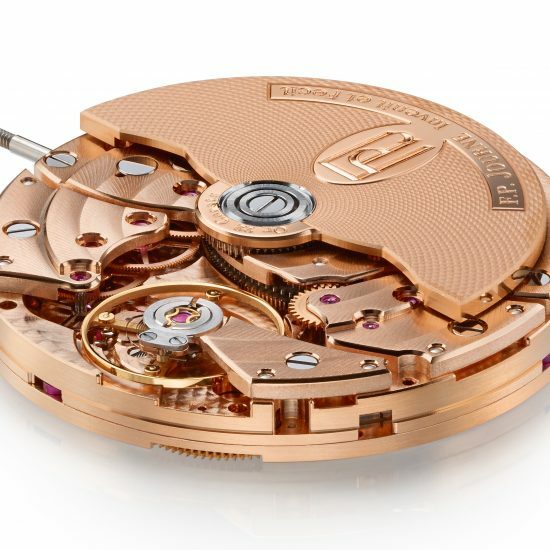 With a fully exposed remontoir system, and a polished concave surrounding that reflects the vertical tourbillon, the movement side can be as interesting as the front for those wishing to study the technical features of such a watchmaking feat. At first glance, this obviously isn’t a thin watch yet understandably so. I can’t think of a reasonable way to flip a tourbillon cage and yet end up with a thin watch but in the grand spectrum of things, this isn’t an enormous watch either. I was however surprised when I actually tried it on. In the past, I never grew towards the 42mm cases because they were thin and I often ended up with lugs protruding which didn’t exactly look pretty. With this however, the thickness actually helps the 42mm diameter of the case. The lugs no longer protrude as much and you just end up with a wearable, but thick watch nevertheless. I did notice the straps were way too thin for the piece but I have been told that is going to change as well as FP is awaiting thicker straps to better pair with the TV. The Tourbillon Souverain Vertical is currently available to order and is priced at roughly $240,000 US (exact figures to be confirmed). The case size is 42mm and will be available in both platinum and rose gold. Delivery is TBD as Journe is still updating the prototype pieces.